Hey mods, I'm pretty sure I got this email and I can't find it. I talked to my friend and he said he's interested but asked what you guys are paying. 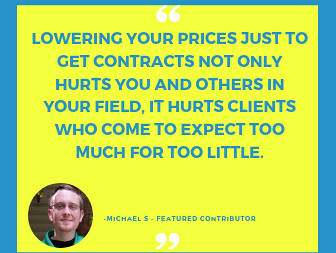 Does Upwork have a standard rate or range that they'll pay so that I can tell him? I want to refer him but I have no idea how the pay works. Also, is there a limited amount of time he has to work? Thanks for your question. 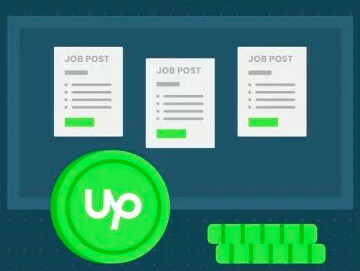 I wanted to clarify that this link is inviting your friend to be part of the Upwork marketplace by registering for a freelancer account with your personal link. As such, your friend may choose a rate that fits his skills and experience. Funniest post I've read in a while Preston! 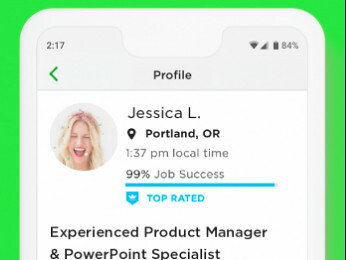 Either they're looking for something very specific or the quality of customer service reps on Upwork is very poor, because there are already more than 100,000 freelancers in that category. My guess would be that they've taken on an enterprise client who wants to outsource customer service and they need a large group of quality CS workers to handle it. I agree Tiffany that there should be plenty but quality is likely an issue. This is an area that I assume UW can get corporate clients where it has troubles in many other areas. Finding good talent for those corporate customers to keep coming back is likely a huge challenge. My money is on Tiffany's thought ... it makes sense. Well, it has to be a CS who can earn $500 in the first month. So, the $3 an hour folks might not be doing it for them. They are looking for Talent Specialists - and who better to find them than a team of ready-made, top-rated HR specialists with the oh so generous reward if their find makes $500. I think I would need a bigger incentive than that (if I lived in the U.S. of course).